Need Storage Space? We’ve got you covered! If you’re out of storage space, you can use some of ours. We have under-roof storage left. Jet skis, cards, small boards, etc. 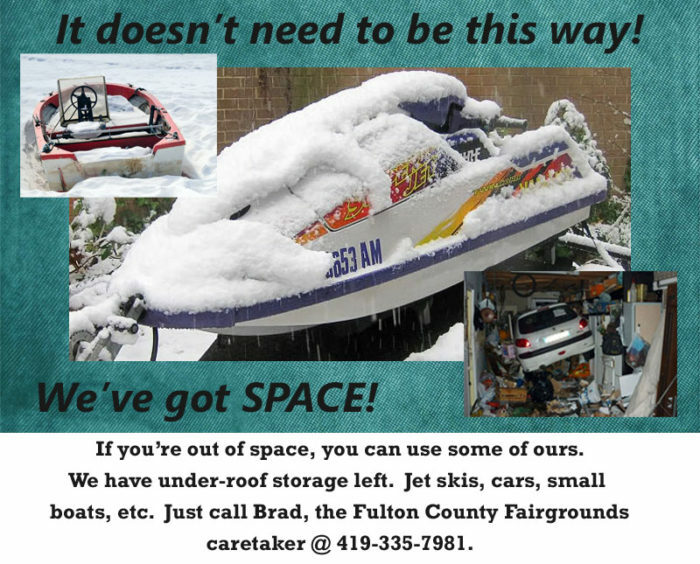 Just call Brad, our Fulton County Fairgrounds caretaker at 419-335-7981.